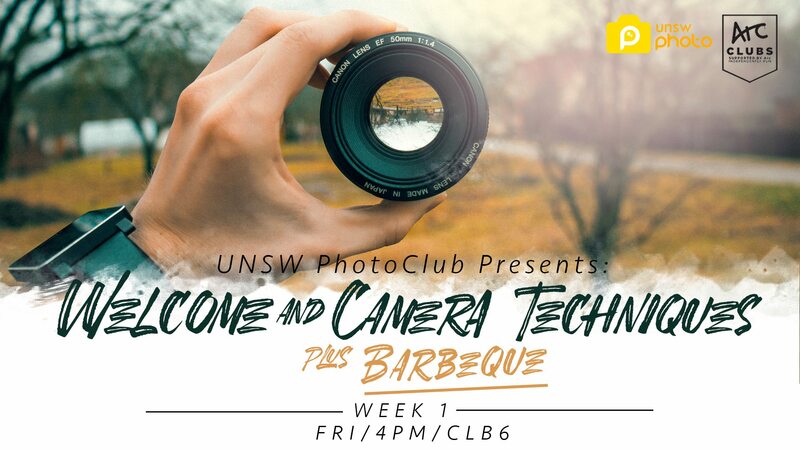 Week 1 Friday Tutorial: Welcome & Camera Techniques + Barbeque & Drinks! Facebook Group: UNSW PhotoClub 2019 – most info is here! 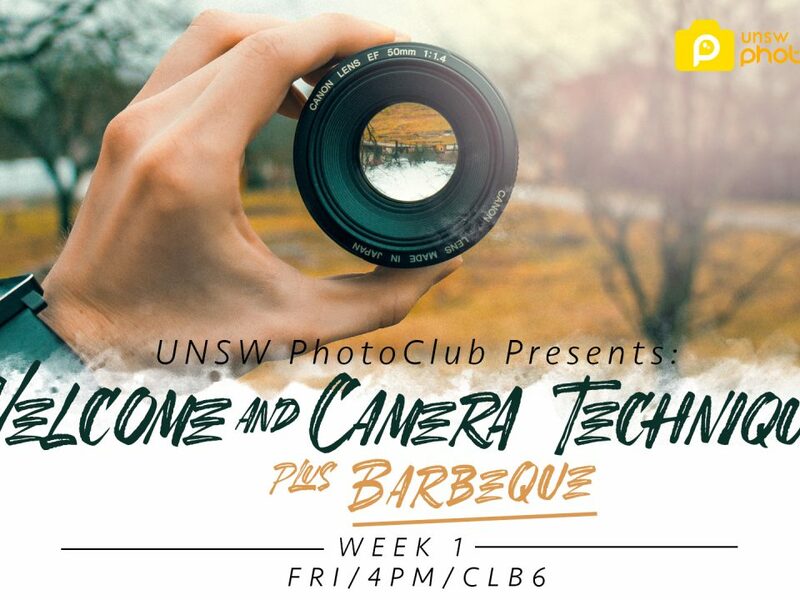 Week 1 Tutorial: Welcome & Camera Techniques + Free Barbeque & Drinks! Welcome to PhotoClub for 2019! After giving you an overview about the many opportunities we have to offer, we’ll explore your best friend, a camera. We’ll cover some general photography tips and inspiration before diving into some camera settings to spice up your photography in a way you perhaps hadn’t thought of previously! And of course how could we not hold a FREE BBQ & DRINKS (alcoholic & soft) to mingle and meet your new PhotoClubber friends! Please let us know if you have any dietary requirements. *This event is open to 2019 PhotoClub members only (please bring your membership cards). Week 1 Outing: Cockatoo Island PhotoWalk! Welcome to our first outing of 2019! 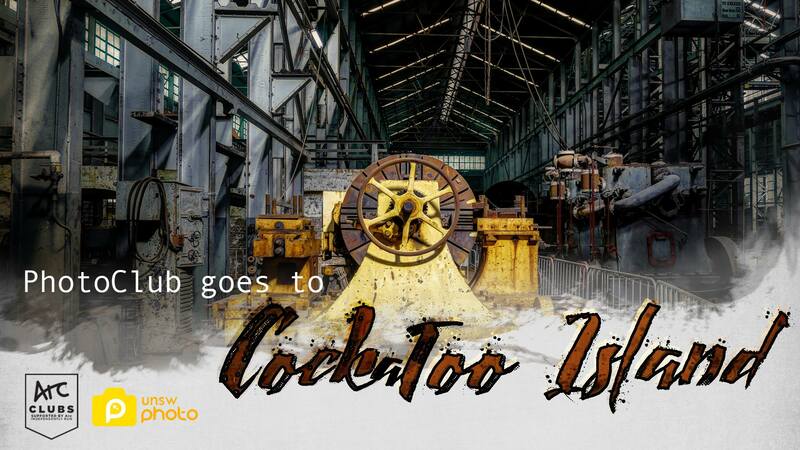 This week we will be heading to Cockatoo Island. This unique location boasts breathtaking views of Sydney Harbour and houses archaic landmarks for architecture. We will be meeting at Circular Quay, Wharf 5 @ 3:45pm for a 4:07pm ferry. It won’t wait so please be on time! Please note that we will not be stopping for food, hence we recommend bringing a snack and drink to keep you fueled for the walk. Camera -DSLR, MILC, Compact, Film, Mobile, as long as it takes pictures! To start off the year show us how inspired you can be with the club’s very own colours: yellow/orange and blue. We want you to feel at home here at PhotoClub so this competition welcomes any photos (max 2) that incorporate one or more of those colours – that’s it! Judging is based mainly on creativity and photographic technique! Good luck!! Submission is via the UNSW PhotoClub 2019 Facebook Group. Please add #UNSWPCCLUBCOLOURS to the description of your submission. Our workshops are designed for base skills – to teach all the basics about photography. In week 2, we will begin running Workshop A – Exposure. This workshop is a simple introduction on how a camera works. It familiarises you with the exposure triangle, which includes aperture, ISO and shutter speed, and how to use the camera to manipulate them. In week 3, Workshop B – Focus, will begin running. It will give you a complete breakdown of how a camera focuses, its different focus modes and how to use them to your advantage. We will also be covering some other basics including depth of field, dynamic range and white balance. 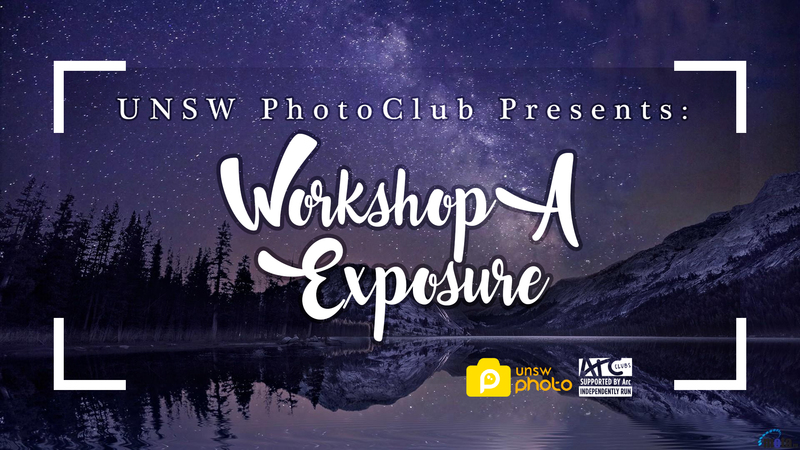 The workshop times will be posted in the UNSW PhotoClub 2019 Facebook group – join ithere if you haven’t already!